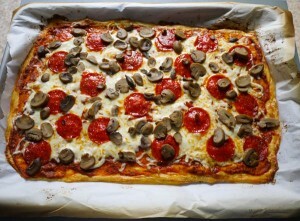 I made this pizza a while ago and, while it is excellent, I really hesitated to put it on the blog. Part of why I started the blog was because I want to eat more whole ingredients and discover new ingredients and just revamp my eating habits. So I get a little anxious if I start eating too many “lookalike” foods that just swap out certain ingredients. I don’t want to be eating a different kind of pizza, I want to move away from eating pizza in general and expand my knowledge of other foods and flavors. You know? 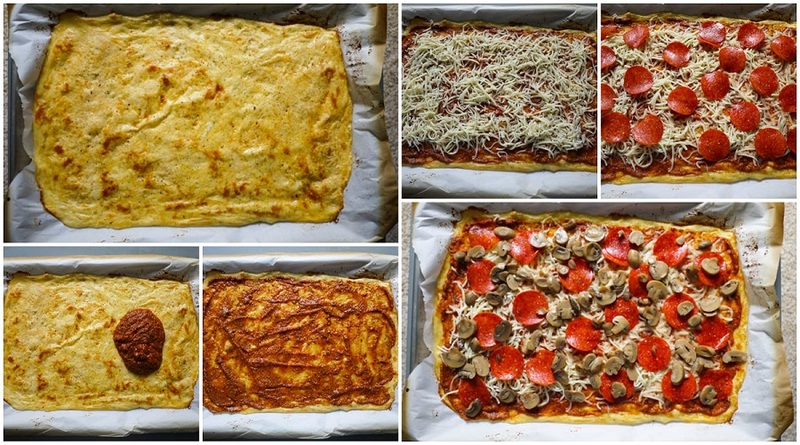 And now that I’ve said that, here is a recipe for a low carb, keto-friendly, LCHF-friendly pizza with a crust made of cheese and almond flour. Ha! My justification is this: As I said in the intro, this pizza is mind-blowingly good, and I’m glad I have it in my cooking arsenal for those times when I want a piece of pizza and nothing else will do or if I’m making pizza for a crowd. For anyone who has been burned by a tasteless cauliflower-crust pizza, this is for you. You can watch a video of this pizza being made here by one of my favorite youtube vloggers: CheapEasyLowCarb’s Low Carb Pizza Crust – Fathead Style! NOTE: The pizza is only in the oven with the toppings long enough for the cheese on top to melt. If you are using raw toppings like onions, bell peppers, fresh mushrooms, or raw meat, you need to PRE-COOK those items before you put them on the pizza otherwise they will still be raw when the pizza comes out of the oven. 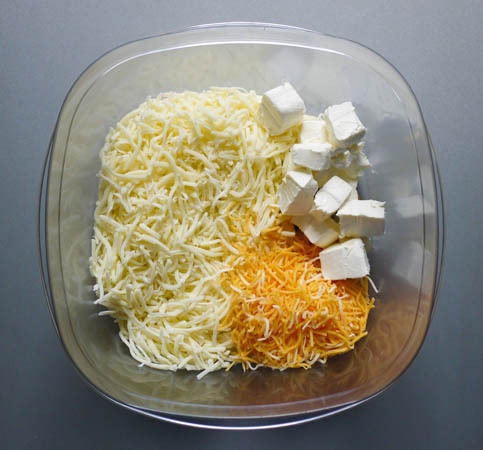 In a microwave-safe bowl, add your shredded cheese(s) and cubed cream cheese. Microwave on high for approximately 2 minutes, until the cheeses are melted and gooey when stirred. If they aren’t sufficiently melted after 2 minutes, keep microwaving for 15 seconds at a time until they reach this texture. You don’t want to accidentally scorch the cheese. You want it just melted. 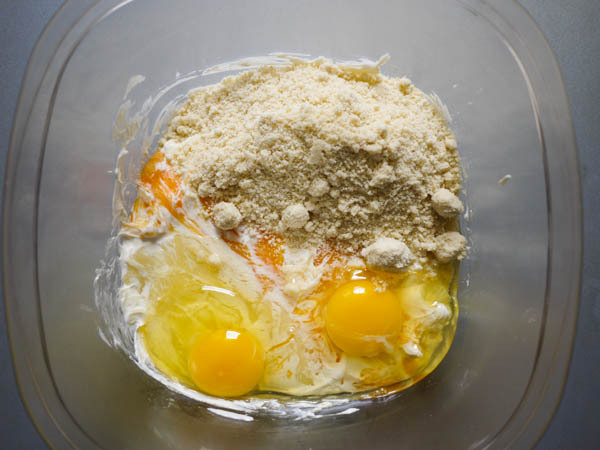 Add your eggs and almond flour. Stir until well-combined. 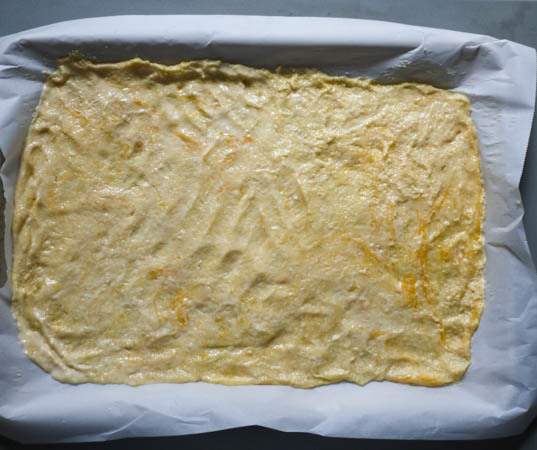 If the cheese starts to get hard again while you are trying to incorporate the almond flour and eggs, just microwave it for 15 seconds at a time until it is all melted and gooey again. You want to be careful not to scramble the eggs so don’t microwave it in longer increments. 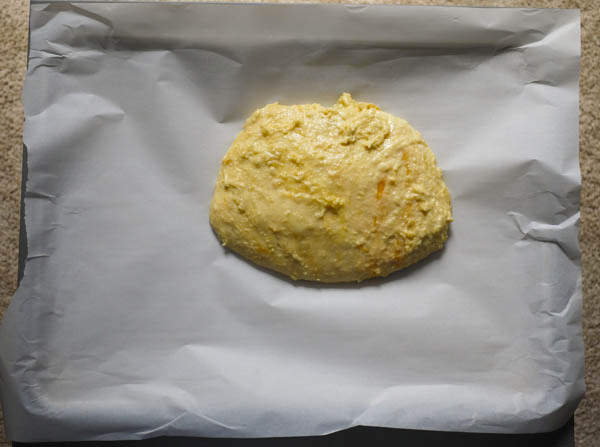 Line a baking sheet with parchment paper and dump your melted cheese mixture into the middle of it. Have your water faucet running or a bowl with water nearby. Wet your hands and use them to push the cheese mixture out to the edges of the pan. Keep wetting your hands any time the dough starts to stick to your hands or feels stiff. 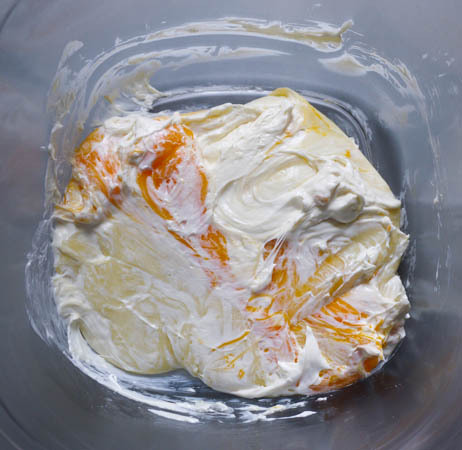 Wet hands are what will allow you to keep pushing the mixture out to the corners of the baking sheet. Sprinkle the “dough” with garlic salt and ground pepper. Bake for 8 minutes. 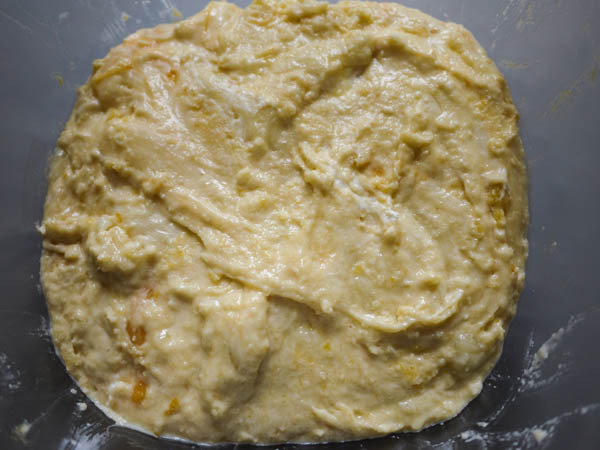 Check to see if any bubbles have formed in the dough and if they have, use a fork to poke them and let out the steam. Continue baking for an additional 8 minutes or until the crust looks golden brown. 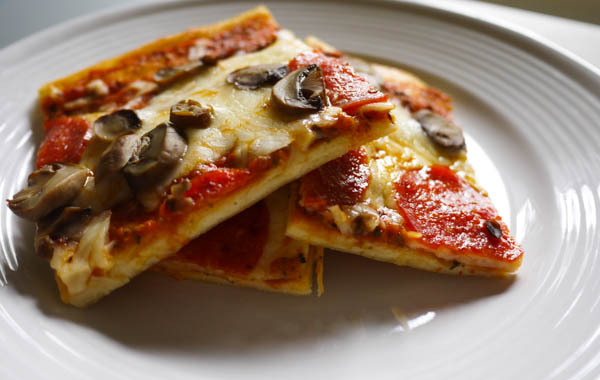 Then top with pizza sauce, mozzarella cheese, pepperoni, and mushrooms. Drop the oven temperature down to 375 degrees and bake the pizza for approximately 10 minutes, or until cheese topping is melted and slightly browned. 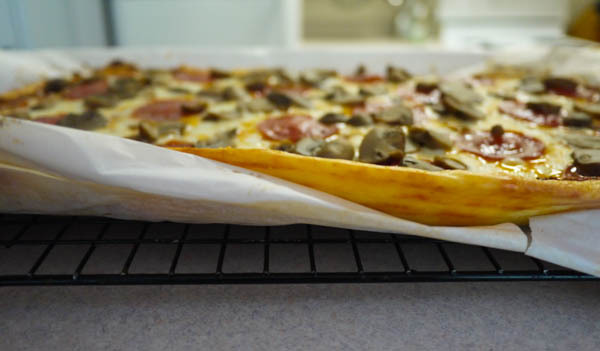 Remove the pizza from the oven and slide the pizza and the parchment paper onto a wire rack to cool for at least 10 minutes. Slice with a pizza cutter, grab a few slices, and enjoy! 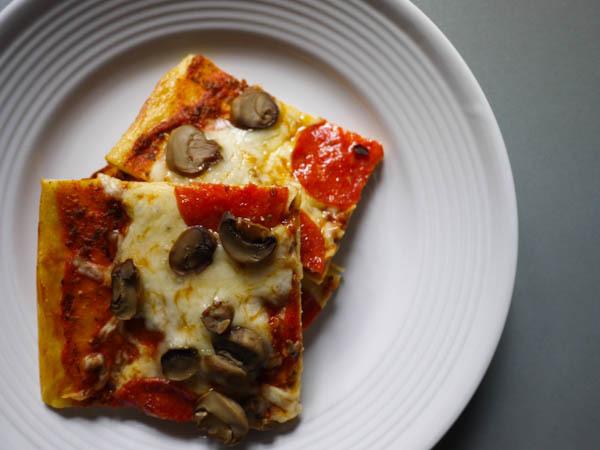 Low carb, keto-friendly, gluten-free pizza that tastes like the real thing. 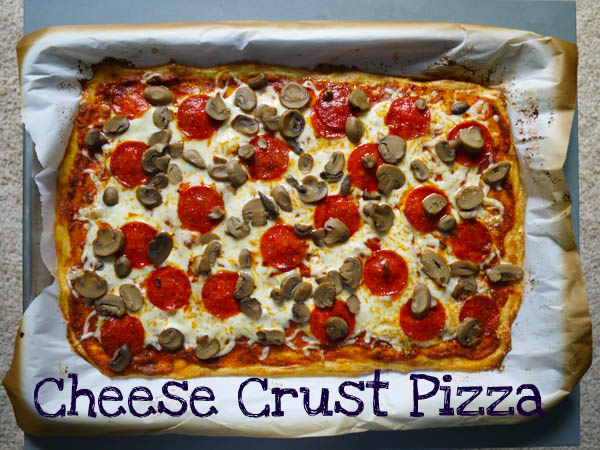 Use the crust recipe and any toppings you'd like! Microwave on high for approximately 2 minutes, until the cheeses are melted and gooey when stirred. If they aren't sufficiently melted after 2 minutes, keep microwaving for 15 seconds at a time until they reach this texture. You don't want to accidentally scorch the cheese. You want it just melted. Stir until well-combined. 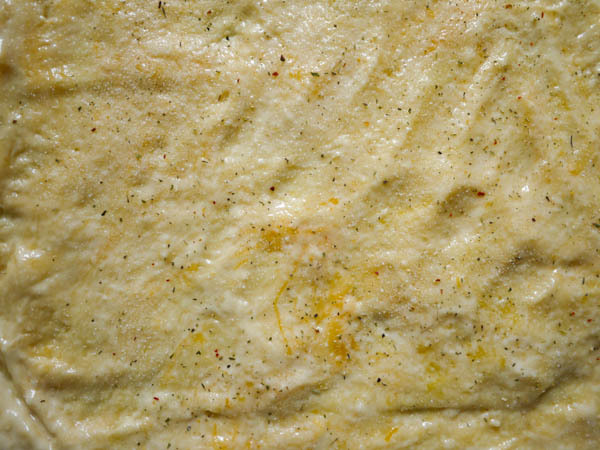 If the cheese starts to get hard again while you are trying to incorporate the almond flour and eggs, just microwave it for 15 seconds at a time until it is all melted and gooey again. You want to be careful not to scramble the eggs so don't microwave it in longer increments. Sprinkle the "dough" with garlic salt and ground pepper. Bake for 8 minutes. Check to see if any bubbles have formed in the dough and if they have, use a fork to poke them and let out the steam. Continue baking for an additional 8 minutes or until the crust looks golden brown. Top with pizza sauce and whatever toppings you'd like. NOTE 1: The pizza is only in the oven with the toppings long enough for the cheese on top to melt. If you are using raw toppings like onions, bell peppers, fresh mushrooms, or raw meat, you need to PRE-COOK those items before you put them on the pizza otherwise they will still be raw when the pizza comes out of the oven. NOTE 2: Nutrition information is for the crust only because I anticipate that people's tastes will vary with respect to the toppings they want. 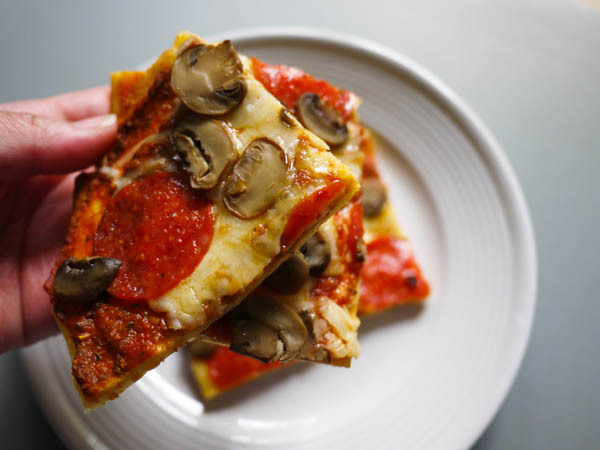 The nutrition information for the pizza shown above with sauce, cheese, pepperoni and mushrooms is as follows: Calories 758, Carbs 14, Fat 61, Protein 48, Sodium 1310, Sugar 5.
is the nutrition for just one slice of pizza? The sauce recipe calls for 1/2 CUP oregano. This is a typo, right? Should it be 1/2 tsp. or Tbsp. ?